When you meet with a talent agent, it's important to know what the agent is looking for and what you are looking for prior to working together. Asking appropriate questions in your meeting will help you to determine if the partnership will be mutually beneficial. Also, observing the agent’s behavior in your meeting and even what the office looks like are important factors to consider. For example, is the office a complete disaster zone? Does the agent seem disinterested in you? If so, it’s probably not a good sign. It’s a lot like dating. The goal is to find a match so that both parties are equally interested in each other, for that is when true magic happens. Confidence is a key factor. You as the actor are the person in control of this meeting, and you are the boss. When you first start in Hollywood, you're likely to encounter several agents who try to act as your boss and who try to call all of the shots for your career. That’s not the way it should work. An agent and an actor should work together, agreeably and in good communication, for success to occur. As is true with any relationship, when one party is too demanding or too controlling, it does not usually end up working out so well. Aim to work with someone with whom you have a good relationship and connection. It’s important to gain as much information about the agent as possible. Here are three important questions that you should always ask. Goal setting and goal planning are extremely important. Typically, the first question to ask is, “What is our plan, business-wise, for our potential partnership? How can we mutually help each other to succeed and make money?” Remember, this is show business, and everything always comes down to money. Pay attention to the way that he or she answers this question. The best agents out there are eager to help, and have great ideas to share with you! A great agent will, of course, want to listen to all the ideas that you as the actor have for your career, and then share their opinion. Ask the agent to give you an idea of exactly how they intend to help secure auditions for you. Be sure that they will “pitch” you, on the phone and through e-mail, to casting directors. An agent who simply sits at home and clicks “submit” is not going to be nearly as successful as one who pushes to get you in the door. Being proactive is always best! 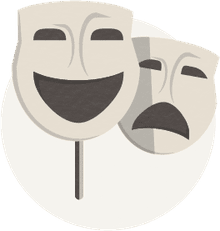 Of course, as actors, the ones who sit at home also will likely not be as successful as the ones who get out there, every single day and work as hard as possible toward their goals with acting classes, improv groups, and casting workshops. How Well-Connected Are You to the Industry? Just because someone is a “talent agent” doesn’t necessarily mean that they are very well-connected to industry professionals in Hollywood who can help hire you. What is it that sets this particular agent apart from the other hundreds that are in Los Angeles? It is imperative to ask the agent about his or her contacts and background, especially when it comes to casting directors. Many established agents are friends with casting directors and other industry professionals, and this can benefit both of you. “Who you know” is important here in Hollywood, (as is who knows you), and the more industry professionals that you and your agent know, the better are your chances to go in for more auditions. It is also very important to look at whom the agency represents. Does this agent represent lots of actors who are currently working? If so, it’s usually a good sign. This is not to say that an agent who may be “new” to the business or may still be building contacts of their own, couldn’t be a great asset to your career. But it cannot be denied that if your agent is not willing to work very hard, or does not have the contacts or the “pull” to get you seen by casting, it could be a waste of time for both of you to work together. There are thousands of actors here in L.A. alone, so where do you fit in with the agency? Ask your potential agent about his or her client roster. Chances are that you won’t be added to an agency roster with someone who looks just like you but ask anyway. When two actors look too much alike and are represented by the same agent, it can sometimes create a conflict with auditions. You want to be the priority of your agent’s time, not your long lost twin, even if he or she is a great actor. Nevertheless, it should be noted that, even if someone does resemble you on the agent’s roster, it’s not necessarily going to be a problem. You may be totally different as an actor than another person who resembles you. Be sure to ask the agent about it. Don't forget, there's only one of you, and it is your individuality that always sets you apart from anyone else! These three questions can be used as a guide for obtaining information in your agency meeting. However, always ask as many questions as you feel necessary. Whenever you enter a meeting you should be prepared with a few extra questions to show your new agent you're interested in them and to make sure they will work well with you. And most importantly, always trust your instincts. If you have a good or a bad feeling, go with that feeling.